We know a little more about Huawei's next high-end smartphones thanks to the publication of administrative documents. 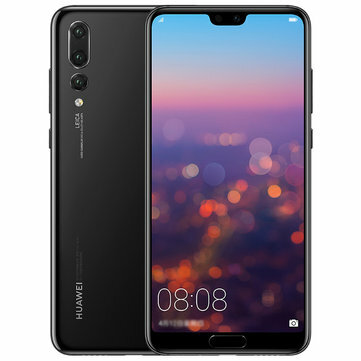 The presentation of the new Huawei P30 and P30 Pro is getting closer. It should take place in Paris before the end of March. But for the more impatient, here are some additional details recovered by the 5GMobilephone site. It is first of all approval documents. The model ELE-L29 (P30) would have 6 or 8 GB of RAM, 128 GB of storage and a SAR of 1.07 W/kg. We learn that the VOG-29 (P30 Pro) would arrive with only 8 GB of RAM and 128 or 256 GB of storage, NFC and wireless charging. Information that corresponds to previous rumors sent by blogger Roland Quandt. The latter would have also got his hands on a Geekbench score 4 – 3251 in Single-core and 9670 in Multi-Core. Regarding design, do not expect a revolution. The first leaks reveal a device with an edge-to-edge screen, a small notch in the shape of a drop of water and a metal frame sandwiched between two glass plates. There is also the presence of a quadruple photosensor. Rumor has it that the P30 Pro could have a hybrid x10 zoom or a ‘TOF’ sensor like Honor’s View 20 or both. No trace of a possible fingerprint reader. It should be implanted under the screen – as on most new high-end smartphones.